Social media has proven to be a fertile ground for the world's most pressing food debates. Is a hot dog a sandwich? Is soup a meal? Now, mayo ice cream has been thrown into that steaming cauldron. 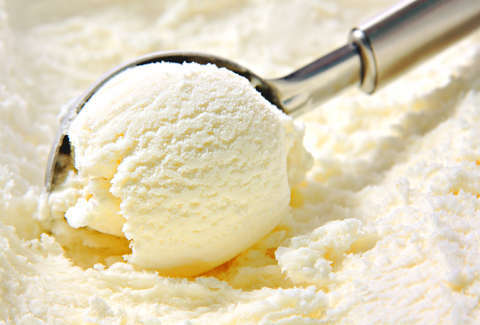 A Scottish ice cream parlor concocted a mayonnaise-flavored ice cream with Hellman's mayo. The Falkirk-based ice cream shop ICE shared an image of its condiment and dairy dessert on Instagram. The caption read, "Who knows a mayo addict?" Kyle Gentleman, the owner of ICE, explained the flavor to Today calling it a "full-on hit of fat and cream followed with an eggy milky aftertaste." The post went viral, provoking intense reactions among people who were irreparably disgusted by the thought of a sandwich topping turning into dinner's final course. I was just talking about ice cream (very passionately, by the way), and then there’s a news about Mayo ice cream. Mayo as in Mayonnaise. my god. Everyday We Stray Further From God. just End me. the amount of Disrespect. Though, mayo ice cream didn't only have detractors. Plenty of people were on-board with frozen, sweet condiment treats. They blended the two best things to dip fries in- mayo and ice cream. It may not be all that bad.. Someone in the U.S. should make a version of this because the people need to know if this is actually worth the fuss. Also, as long as people are knocking around condiment ice cream ideas, spicy brown mustard ice cream isn't a terrible idea.